This is a superb collection ideal for every church music library! 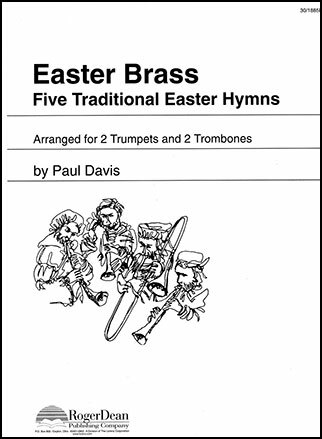 Perfect as preludes or postludes, these selections allow your music ministry to showcase a brass ensemble. Accessible to upper-level high school players,yet musically satisfying for more advanced players. These idiomatic arrangements take full advantage of the brass timbre. Contents are: Christ The Lord Is Risen Today, Alleluia! ; Come Ye Faithful, Raise The Strain; The Strife Is O'er; O Sons And Daughters Of The King and Welcome, Happy Morning.